Anonymous, 14 Nov 2014does it sports multiwindowNo it does not, because well since the screen is only a 4.5 inch it just isint big enough to need it. At my Samsung store they are offering me the Samsung galaxy S5 mini unlocked, with a 1 year warranty for $450.00 and the S5 is $599.99 should I buy the S5 mini next month or wait until the price drops some more? BTW my Samsung dealer is giving me a discount, thks. 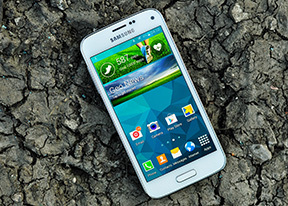 Samsung is losing millions for an fm radio chip that costs them 10 cents. ell done samsung no radio, no money . u deserve your faith. learn from nokia. Nela, 13 Nov 2014Is this phone upgradable to 4.4.4 KK or Lollipop?This phone comes with Android 4.4 Kitkat out if the box, like the S5 the S5 mini should (must) get the same 5.0 L in the future, so I would comfortly say yes. 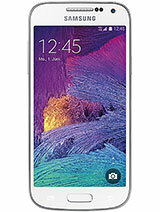 AnonD-95772, 13 Nov 2014you must buy galaxy s4 or note 3 this is small phone , s4 is very very god for the note 3 not... moreOk but why the the S5? 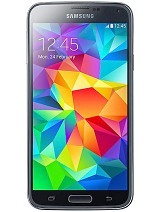 Is this phone upgradable to 4.4.4 KK or Lollipop? 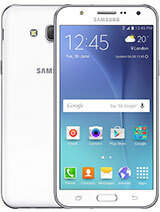 I'm getting a new phone for Christmas, I went to the Samsung store today, and I liked this phone, it's $450.00 my brother is getting the Samsung Galaxy S5, $599.99 so not fair!! 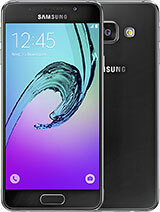 Anyway I really need ti know if this phone is a really good one, like can it Handel heavy games, videos, lots of texting, any help would be nice, IM A SAMSUNG FAN DONT TELL ME TO BUY A LG G2 THANKS! hi does this phone have the keypad vibration option like the s5 does?? Ericminos, 03 Nov 2014You REALLY should go for the G2. Despite some cool sensors the S5 Mini offers nothing more tha... moreYes u r write LG G2 is very good set but card slot option is not available other wise i love LG G2. It has mini versions in which card slot option is also available but specs are less than its normal version. 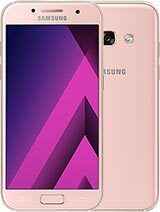 It is goog think that Samsung is launching MINI Versions but if we see specs of these Mini sets are same e.g 1.5 gb ram, 8/16 gb internal memory and 8 mp camera except S5 mini is water and dust proof other features are same. 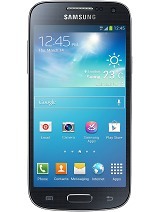 So, Samsung should keep specs same like normal versions except screen size which is not more than 4.5 thats enough. If i use the internet in this phone continue 12 hours..